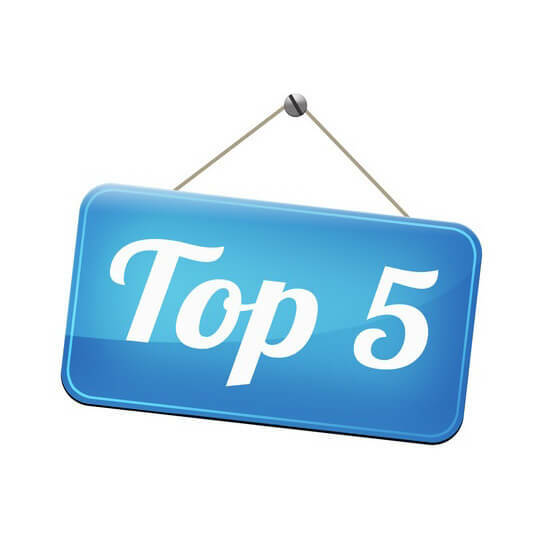 In order to signify to prospective employers that an individual is qualified to manage large projects with high stakes, there are several professional certifications that can indicate expert-level knowledge. These numerous certifications concern different approaches and methodologies that will appeal to different industries. 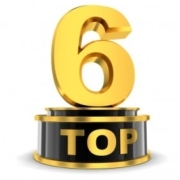 Attaining any of these illustrious titles will require passing a difficult test, with some also requiring a prerequisite amount of educational units before even sitting for the test. Because of this, the road to a career in professional project management is long and full of hurdles. To meet the needs of struggling students, many different educational providers have sprung up offering prep courses for these certification exams. In addition to offering learning material through lectures, text, and practice quizzes, these programs will also often incorporate the requisite educational units so that students can qualify to take the exam. 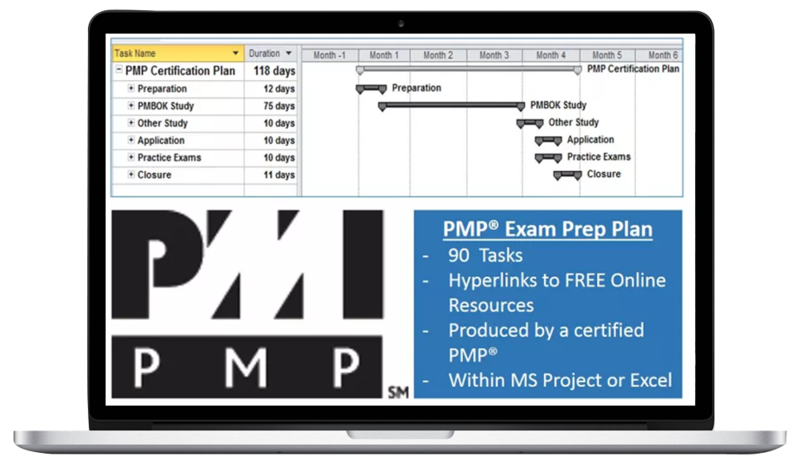 And out of all these providers, PM Master Prep offers a unique and refreshing take on project management training ideal for anyone pursuing PMP or CAPM certification. Not convinced? 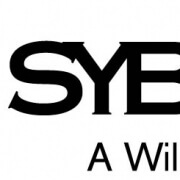 Take a look at the section below to learn about this company and their core philosophy! PM Master Prep was founded by Scott Payne and Michael Parker, two established professionals with over 30 years of project management experience between the two of them. 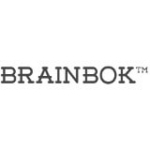 With their combined knowledge, they set out to create the best project management training resources on the market today. 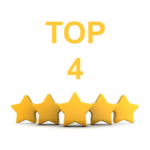 Their primary focus has been on developing a high-quality PMP course, which will be the subject of this course review. The educational materials provided by PM Master Prep focuses on saving students as much time as possible. 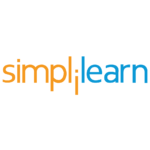 Their curriculum was designed for the purpose of facilitating easy, time-saving instruction that is beneficial for both students and instructors. While this may sound like their courses are designed to rush you through their material without really understanding it, the huge pool of practice questions and unlimited access period provided by their prep courses ensure the opposite is true. With a question bank of roughly 1,400, students who enroll in PM Master Prep will have no shortage of practice questions to answer. These questions are used to make up the generated practice quizzes and the 16 unique exam simulations in order to rigorously test student’s knowledge regarding each aspect of the PMP exam. While some prep courses may offer a bit more, there are several that fail to offer even half this amount, making this one of PM Master Prep’s most appealing features. Rather than deliver ordinary lectures, PM Master Prep provides 25 case study videos that elaborate on key aspects of the processes outlined in the PMBOK handbook. They contain simple animations narrated by the instructor that offers a more visually engaging take on the traditional lecture, although the production value is a bit lackluster. In order to qualify for the PMP exam, students are required to complete 35 hours of project management training. The Project Management Institute, or PMI for short, tracks these education hours through professional development units, also known as PDUs. 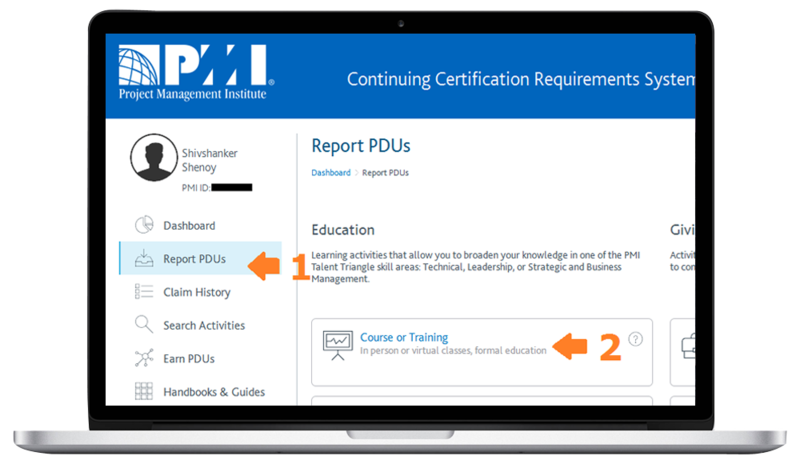 PDUs are also required for continued PMP certification, with professionals required to attain 60 more every three years in order to maintain their status in the organization. 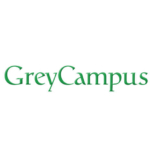 PM Master Prep grants the requisite 35 PDUs students need in order to sit for the PMP exam. While this makes it sound like this course will only benefit newcomers who are trying to achieve certification for the first time, these PDUs can also be helpful to established professionals who are looking to maintain their certification, whether for PMP or for other certs like CAPM. Even better, those who are already familiar with the methodology will be able to breeze through this course and easily attain CPE. 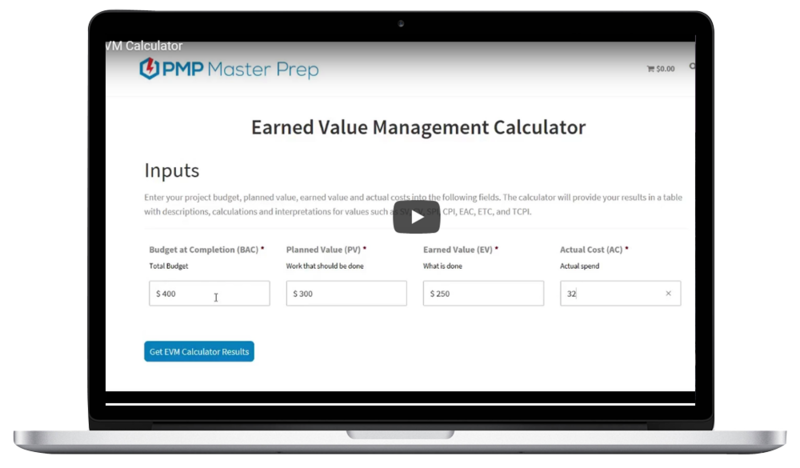 Short for Earned Value Management, this is a key component in PMP education that students will be required to understand in order to pass the exam and become certified as a project manager. PM Master Prep takes great care to ensure that all students enrolled in their prep course fully understand the ins and outs of this complex mathematical concept. This PMP course includes a full list of all formulas and calculations required to fully grasp the concepts behind EVM. On the left side of each page, this guide features a layout that shows the original formula as well as a more detailed explanation of each component underneath it. The right side of the page is dedicated to different interpretations of this formula and some additional examples of it in practice. 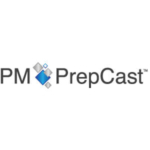 Additionally, PM Master Prep contains an EVM calculator built into its study tools that allows students to complete equations within the prep course without needing to access a different program. 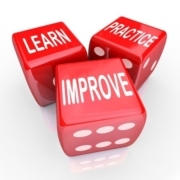 The key to most educational prep courses is a large quantity of quizzes and tests. PM Master Prep understands that this is a key component to reinforcing a vast amount of knowledge and have heavily incorporated this into their curriculum. 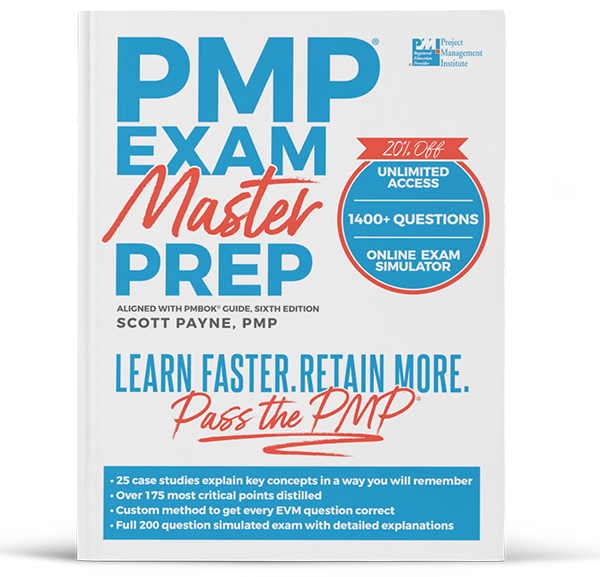 Thanks to the 1,400 practice questions included in their PMP course, students can generate a nearly unlimited supply of practice quizzes. Additionally, 16 simulations are included that help to acclimate students to the test environment, which will also improve their chances of passing by reducing pre-test anxiety. In a similar manner to many other educational course provides, PM Master Prep provides multiple tiers of their PMP study course with different prices. That means that while students will receive the highest quantity and versatility of learning material with the more expensive course, those who are on a tight budget can take advantage of a leaner program that still has educational merit. The most comprehensive PMP course package offered by this educational provider is their PMP Super Simulator. This package contains everything listed in the sections above, including the practice quizzes and tests, case study videos, formula study guides, and the private chat channels. Perpetual access to this course only costs $149. While this is extremely affordable in relation to many other project management courses provided by other companies, there may still be some students who wish to save additional money or are still unable to budget for these expenses. To meet the needs of these individuals, PM Master Prep also offers a more basic PMP Exam Simulator package. 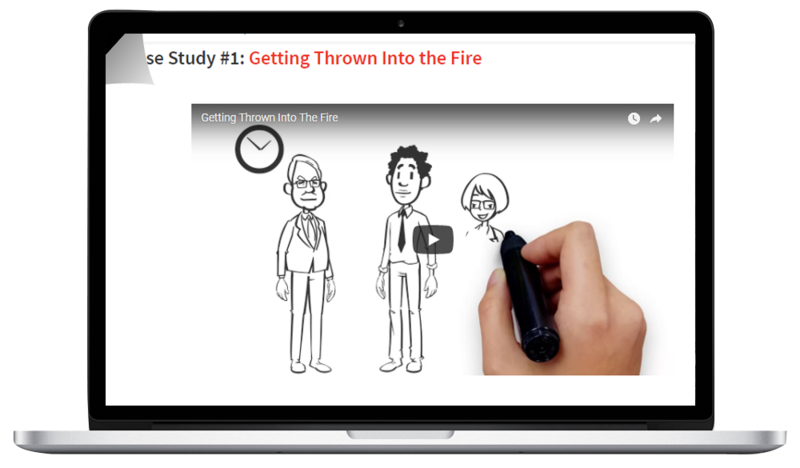 This course costs only $59 for unlimited access and still contains the 1,400 practice question bank, although it excludes the case study videos, formula study guides, private chatrooms, and a few other features. 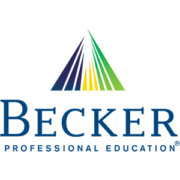 Pro – Price: Just about every single educational study course for any kind of professional certification will come with a significantly expensive enrollment fee usually over $300. PM Master Prep is the exception to this business practice by offering even their most in-depth study program for around $150. Pro – Formulas:Thanks to the resources PM Master Prep provides students in their PMP Super Simulator package, they will be able to learn the ins and outs of EVM and the mathematical formulas behind it in an intuitive and effective manner. 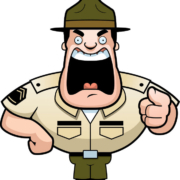 It isn’t common to find something similar in other PMP courses. Pro – Access:It can cause students a great deal of stress if they worry about a time limit on their educational material, which can lead to the feeling that they are falling behind and need to study faster instead of more effectively. By offering students unlimited lifetime access to their material, PM Master Prep eliminates this issue entirely. 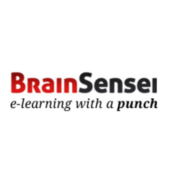 Con – Video posnetki: The included case study videos are a welcome feature for any student who prefers learning through visual stimulus. Vendar, the quality of these lectures are disappointing, with rudimentary animations and basic narration. They’re more or less on the same level as a free lecture found on YouTube. 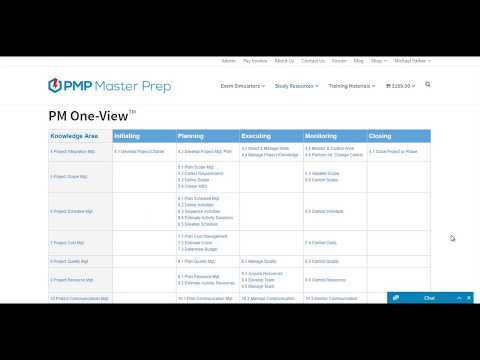 Does PM Master Prep provide a free trial? Yes. All students who are interested in enrollment can try either of PM Master Prep’s PMP educational packages for three days before being charged. Does PM Master Prep have a money-back guarantee? There is no mention of a money-back guarantee for any of PM Master Prep’s products on their website or in official documentation. It may still be possible to receive a refund by contacting their support team, but it appears to be unlikely. Does PM Master Prep offer financial aid? Due to the fact that PM Master Prep’s study courses have very low prices, they do not offer any kind of financial aid or flexible payment plan for students looking to enroll. Does PM Master Prep offer mobile device functionality? 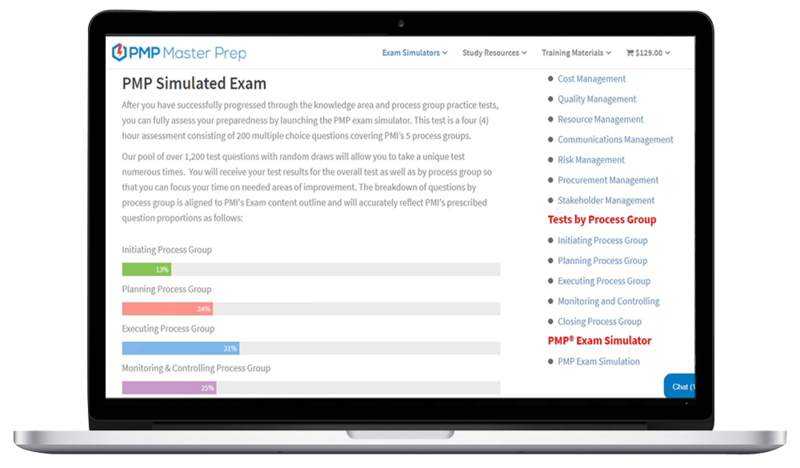 Although some of the material included in PM Master Prep’s courses can be readable on a mobile device, such as their study guides and video lectures, the majority of its content is designed to be used on a standard computer. If you’re a student who wants to take a lot of practice quizzes and tests, this is the course for you. If you’re a student interested in learning more about EVM and the mathematical equations behind it, this is the course for you. If you’re strapped for cash and want the highest value for the lowest price, this is the course for you. If you prefer to study on a mobile device, this is NOT the course for you. If you’re a student who learns best through live instructions or high-quality video lectures, this is NOT the course for you. Because PM Master Prep offers their learning material at such a low price point, many students may be led to the opinion that it is too good to be true. And to be fair, there are certainly some limitations to their coursework as a result of that price, such as low-quality video content and a lack of any live instruction. 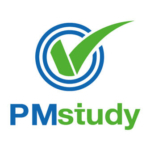 PM Master Prep offers a 100% no-question asked money-back guarentee. Because of this, it’s clear that these courses are some of the best for students on a tight budget looking to CRUSH the PMP exam!